The Community alum will temporarily host Talking Dead and a Walking Dead special as AMC continues its investigation of sexual misconduct allegations against Hardwick that were leveled by his ex-girlfriend Chloe Dykstra. Brown, a frequent Talking Dead guest, has already agreed to moderate next week's The Walking Dead and Fear the Walking Dead panels at Comic-Con. 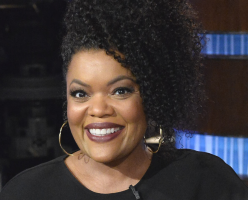 “Yvette Nicole Brown will step in as an interim guest host of The Walking Dead Season 9 Preview Special on August 5 and Talking Dead when it returns following the premiere of Fear the Walking Dead on August 12, as we work to complete our assessment related to Chris Hardwick,” AMC said in a statement on Friday. After Hardwick was pulled from Talking Dead, many Walking Dead fans urged AMC to replace him with Brown.